Part III of Lion Music’s Consortium Project ‘quadrilogy reissues’ with remastered sound and 2 bonus tracks. 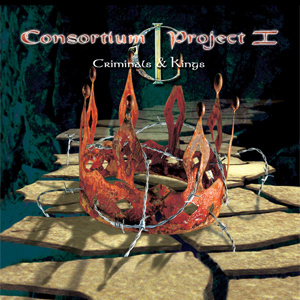 After the excellent starting two movements Consortium Project III seemed to embrace the progressive metal elements a little more than on its predecessors, in some ways parallels could be drawn with the likes of early Symphony X, perhaps in part due to the mystical Egyptian feel in some of the tracks. Generally speaking its all very good stuff once again, with another stellar backing cast to Ian Parry’s premier vocal including guitarists Stephan Lill (Vanden Plas), Mike Chlasciak (Halford) and drums from ever present Casey Grillo (Kamelot) amongst others. Opener The Council Of Elders has the by now obligatory scene setting story part before hitting it stride, but Spirit Of Kindness and The Ark (of the covenant) are as strong as anything heard elsewhere in the five album suite. Big riffs, a good sense of pompous atmosphere and all round excellent performances. Lost Empire begins as if from a movie soundtrack before hitting a fervent progressive power metal vibe, here the aforementioned similarities with Symphony X are depicted nicely. Reductio Ad Absurdum is a nice multi-faceted number with a nice blend of calm and imminent foreboding evil in equal measures. The almost new-age calm of White Sands (California Lighthouse) do perhaps seem a little out of place but offer up a nice rest bight midway through before Great Exploration kicks back in with its mid-tempo pomp and is home to a majestic chorus. Across The Seas is another highly melodic track before Across The Seven Seas takes you on a musical voyage being a prog metal treat, home to fantastic guitar solo too and arguably the highlight of the album. Nemesis is back to the dark metallic edge, whilst Beyond The Gateways Of Legends sees a quite magnificent soaring vocal from Parry and ranks as another highlight. Its hard to think of another voice in metal other than perhaps the much missed Ronnie James Dio that can capture such impressive power with a the ability to give the listener visual imagery with their delivery. 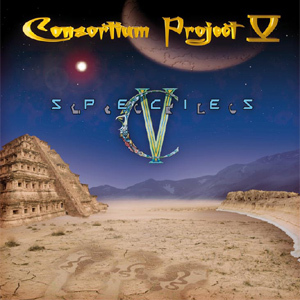 The title track sees the original 11 track release with a fitting finale being majestic in scope, yet also offering up an insight into the sound that would later be heard on Consortium Project IV. As it stands this new “quadrilogy series remaster” gives us a demo version of Great Exploration and the title track and its nice to hear how the final track grew from this more stripped down demos. 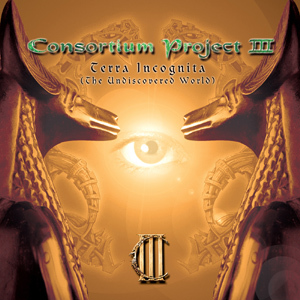 Overall Terra Incognita is another fine slice of progressive power metal from Consortium Project. In some ways it’s a different beast to what came before yet shares many of the trademarks of its predecessors e.g. strong performances, good songcraft and all round executed to a very high standard. If you enjoyed parts I and II then III will not disappoint and is on a par with those other fine releases. 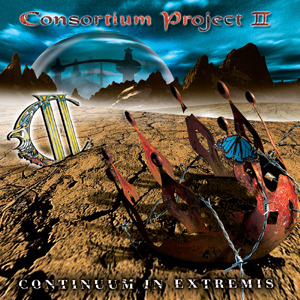 This entry was posted in Reviews and tagged Casey Grillo, Consortium Project III, Ian Parry, Lion Music, Mike Chlasciak, Power metal, review, Stephan Lill, Symphony X, Terra Incognita (The Undiscovered World). Bookmark the permalink.